Here we have tried to answer the common questions that we get asked by our clients. If you cannot find the answer to your question, please do not hesitate to get in touch with us and we will be more than happy to answer any queries that you have. 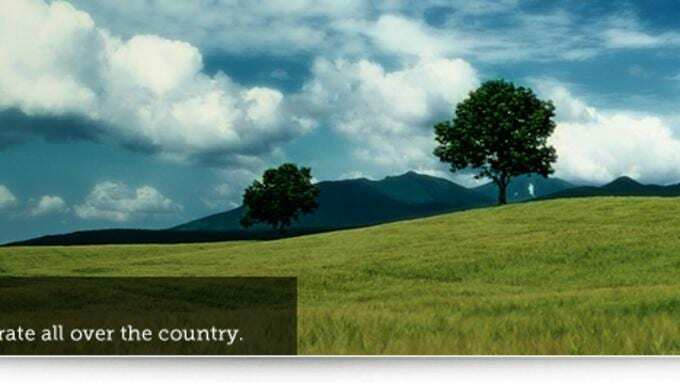 A: We are located in Pentre, Deeside near Chester in Cheshire, UK. Our address is: Britannia Cestrian, Unit 1b Interlinq Trade Park, Chester Road, Pentre, Deeside, CH5 2DW. 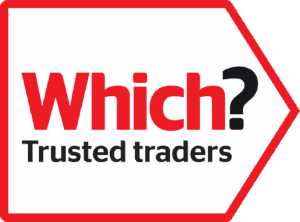 A: We serve our local customers in Cheshire, the Wirral, North Wales and all across the UK, as well as Europe and worldwide. Q: What are your removal and storage prices? A: Please fill in the QuickQuote form to the right of this page to receive quick storage or removal quotes. Q: What are your standard opening hours? A: Our opening hours are Monday to Friday: 9am – 5pm and we are closed on Saturdays and Sundays. Q: Are you available at weekends? 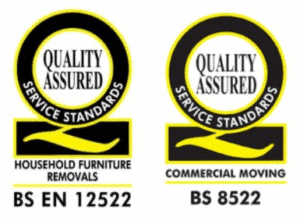 A: We can carry out removals on a Saturday, Sunday or a bank holiday if you require. Q: What size of van or storage space will I need? A: Before we begin the removal, we will conduct a free pre-move home surveyfor you which will determine how much space you need. If you are only interested in storage at this time, please contact us to find out how much space you will require by using the QuickQuote form to the right of this page, emailing us at info@britanniacestrian.co.uk or calling us on 01244 470372. Q: What items should I not move or store? A: You should never move or store any of the following items: illegal or dangerous items, firearms and ammunition, flammable gases or liquids, food and perishables, and plants or animals. Q: Do you belong to any industry organisations? A: Yes, we are members of the BAR. Q: Do you provide insurance for home removals or storage? A: We provide multiple levels of insurance for your removal and storage. Please contact us for more information. Q: How much notice do you require for home removals and storage? A: Officially we request at least a week’s notice, however it is not unheard of for us to carry out a removal the day after you first enquire. A: We require payment seven days prior to the move, especially if you are paying by cheque. Alternatively we take card payments over the phone. All cards are accepted, except for American Express. Q: Are your staff experienced and fully trained? A: Yes, our professional movers and packers are fully trained and highly experienced in all types of complex removal situations. Q: Do you sell packing boxes for moving home, or offer a packing service? A: Yes, we offer specialist moving boxes and packing materials. We also provide an optional packing service, should you require assistance. Q: Are you able to dismantle and or reassemble furniture? A: Yes, we can do this as part of our packing service. If you would like us to do this, please inform our home surveyor when they visit you at your home. Q: Is it advisable for me to empty wardrobe, dresser or cupboard drawers? A: You do not have to empty them as long as they contain non-fragile objects such as linen or clothes. Q: Are you able to empty lofts? A: Yes, as long as the loft is well lit, has proper flooring in place and has a fixed staircase or ladder. Q: Do I need to arrange parking in advance of the moving day? A: Yes, we need to have enough free space outside or near your property for our removals van. We can discuss this with you in our pre-move survey. Q: What size of van do you use for removals? A: We have multiple sizes of vehicles. We use smaller vehicles on jobs with difficult access and larger vehicles for larger moves. Q: Do you provide a vehicle relocation or car shipping service? A: Yes, we can move anything for you. Motor vehicles, boats, and even pets can be transported. Q: How do you go about moving IT equipment? A: For office relocation, we transport any IT equipment in specialist containers with anti-static bubble wrap, so you can be sure your data and equipment remains protected and secure. We also offer business storage and document archive storage. Q: Do I need to empty filing cabinets in advance of moving day? A: Yes, we recommend emptying filing cabinets before they are transported. Q: Do you offer a business removals service outside of standard office hours? A: Yes, we can provide a service outside of normal working hours, if you require. Q: Is your storage facility secure? A: Our storage facility is highly secure and is fitted with both fire and intruder alarms. It is bordered by a barrier controlled entrance and our alarm system is monitored by a local security company and is linked to BT Redcare. The storage facility has 24 hour CCTV in place and security guards who monitor anyone entering the estate. Q: What size storage containers do you offer? A: We offer storage containers ranging from 35 ft² (3.25 m²) up to spaces as large as 3,000 ft² (279 m²). Q: If I have too much or too little space, can I move my possessions to a different sized storage unit? A: All of our storage is within wooden containers, stored indoors. You only use the number of containers required to hold your goods. Q: How long am I able to store my possessions for? A: You are welcome to store your items for as long as you want. Q: What is the minimum time I can store my items for? A: The official minimum storage period is four weeks, however we also offer a holdover service in which we can hold the goods for a couple of days while you get your new property ready. Q: Do I have to sign documentation such as a storage license agreement? A: You must sign your Acceptance Form, which is also your contract. Q: Do I need to bring my items to you for storage or are you able to collect them? A: We provide both options, whichever suits your needs. Q: Will I be assisted in transporting my possessions from my vehicle to the storage facility? A: We can offer labour or tools to assist you with bringing your goods into storage, so long as you let us know in advance. Q: How much notice do you require if I want to vacate the storage unit? A: Should you require delivery out of storage, we require two weeks written notice (an email is fine). If you are collecting your goods yourself, we require 48 hours written notice, subject to availability. Q: How regularly will I receive an invoice for storage? A: Depending on how you wish to pay, you either receive one every four weeks, or every 13 weeks. A: Self storage allows you to self store your possessions at your own convenience. You lock your secure and safe storage unit and it remains completely untouched until you next choose to access it. Q: At what times can I access my self storage unit? A: You can access your unit during normal working hours, so long as it is pre-arranged. Q: Are any other people able to access my self storage unit? A: We require written notice from the account holder to allow access. Only if we have been given permission in writing by the account holder, can anybody else access your consignment. If you still need help and can’t find your answer above, please feel free to email us at info@britanniacestrian.com or phone us on 01244 470372 and we will be happy to assist you.